wad.ojooo.com - scam or legit? About one of the biggest PTC sites, wad.ojooo.com, much will be written and reportet! Now what's wrong? Ojooo Wad is a complete SCAM. After a few months of hard work using this PTC (Premium Account), I decided to do a little experiment before to get a PREMIUM+ account ($39/month) because of all those bad comments on the internet. I just wanted to make sure the site paid regularly. 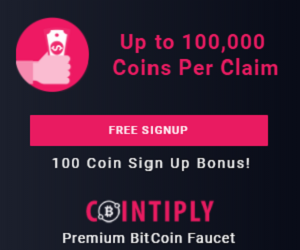 At the beginning everything OK, I got paid twice without any problems (3 labour days tops), then I disabled the AUTOPAY feature (Daily Fee) to all my rented referrals (350 Refs) and I started to collect all the earnings made by my rented referrals for several days. Once this is done, I requested a third cashout ($20.50) and ---> SURPRISE! I haven't received the payment yet after a month. The bottom line is that you only get paid by Ojooo Wad if they can get a daily profit from you. If the Ojooo Wad payout system detects you have stopped doing clicks or you have disabled the AUTOPAY feature (Which is a daily income for them), they stopped processing your cashouts and start to pay selectively a bunch of members. Meanwhile, I have been waiting for my payment or any response for weeks and I have the rest of my money kidnapped as they don't allow to perform another cashout request until the one in process be paid. Finally, I'm grateful that I don't upgraded to a higher membership and I was able to figured all this out before keep wasting my time and money on this crappy PTC. 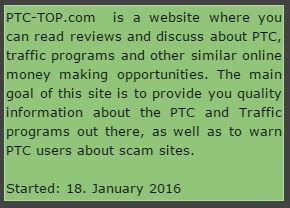 Don't waste your time and money on Ojooo Wad PTC Site ---> It's a SCAM. There are BETTER and SERIOUS options out there. Why my current balance 6$ change to 6 Preferred shares which last paying? only pay first. В любом деле, в любом проекте есть успешные и не успешные. И дело, и проект здесь совсем не причем... Прислушиваться надо к профессионалам, экспертам того или иного дела, тем более если Вам НЕСКАЗАННО повезло, и Вы встретили профессионала, а не шарить по интернету в поисках мнений неудачников, которым лень вникнуть в правила проекта, нарушая которые они теряют свои доходы. Уверяю Вас, есть люди, которые серьезно занимаются интернет бизнесом и имеют очень приличные доходы. Я в проекте #OJOOO более 10 лет. В #OJOOOWad с первых дней и по сегодняшний день, заработала не самые большие деньги здесь (50000$). А все почему? На начало проекта не была профессионалом бизнеса в интернете, не знала его законов, возможностей... любому делу нужно учиться, только тогда будет успех! А ДЕНЕГ В ИНТЕРНЕТЕ МНОГО! И если Вы освоите его законы и правила Вы всегда будете с деньгами в любом возрасте и в любом месте! Желаю успехов! I started use Ojooo just to test it. But right now it's almost 7 months and I'm still clicking. There's no need to sit whole day just clicking some adv~~. Ojooo is much simpler. You can get refereals by inviting friends or just buy them on their site. I never had any trouble with payout money from account. Sometimes I got it the next sometime at the end of the weekend i think it just depends of how many payouts is in certain amount of time. Thanks internet for opportunity for site like Ojooo. Thanks to it i can earn extra money. It's started just to earn some cash for cinema and my own staff. But right now i'm on level that I can almost pay for rent and food. I'm so greatful for those. If someone want to join me register ojooo and write down my nickname. Thanks ! I have to admit site is awesome. Site is translated in a few language so everyone would understand it easly. Ojooo is easy to use. It has clear rules. There's everything around the cash :D A lot of way to earn.